Was an image of a Weird ‘Half Cat’ Captured by Google Street View?…!!! 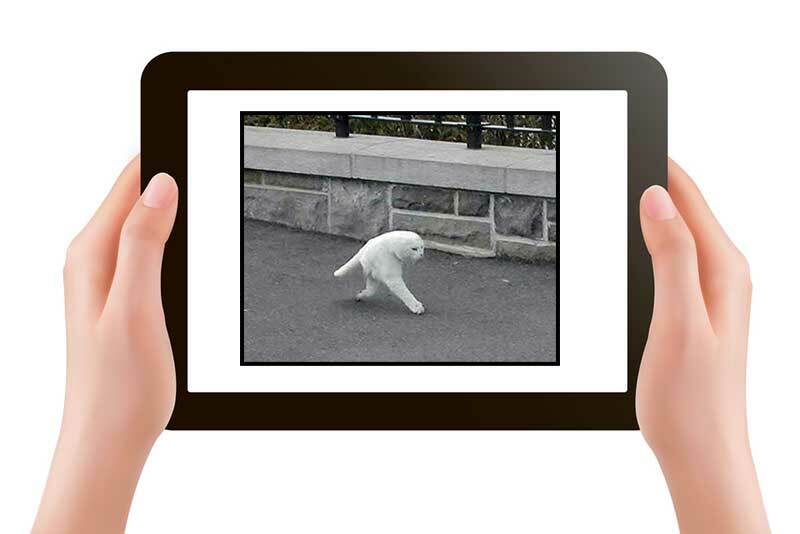 An image circulating via social media supposedly depicts a strange half cat creature with only two legs and no ears caught in action by Google Street View cameras. Half cat is no mystery. The strange looking puss is the result of some digital tomfoolery. And the image was not captured via Google Street View. 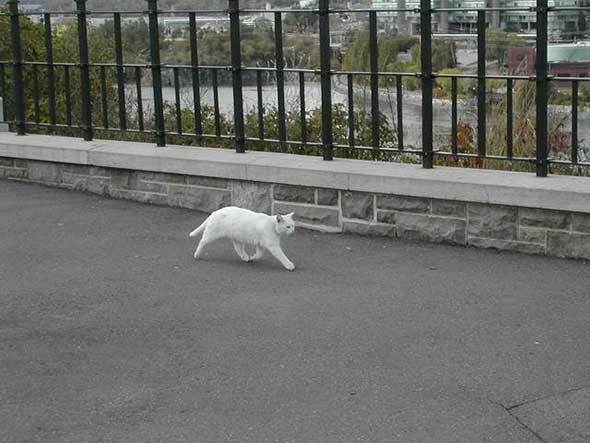 The source image used in the manipulation was snapped in 2003 – well before Google Street View was launched – and depicts “Thumbelina”, a perfectly normal cat, strolling along a street in Ottawa (See original image below). Spotted On Google Street View: Half A Cat A new species, perhaps? This picture of what appears to be a bizarre two-legged, no-eared cat has been circulating via social media since 2013. Descriptions of the strange creature claim that it was captured via Google Street View images. The image has generated a lot of tongue-in-cheek speculation with commentators suggesting that it could depict a new species, an alien visitor or a mutant puss. The The source picture was reportedly taken back in 2003 and was posted to picture sharing website imgur. The image is said to show Thumbelina walking near Parliament Hill, Ottawa. And, given that Google Street View was not launched until 2007, it is clear that Thumbelina’s picture was not snapped by Street View cameras as suggested in the circulating messages. Thumbelina’s thoughts on the unauthorized use of her picture have so far gone unrecorded.